There are so many good Pixar movies, I thought maybe we could focus on this current decade. We’ve had some stinkers [e.g. Monsters University (2013) and The Good Dinosaur (2015)], but there’s definitely some great ones. Which one of these three is your pick for movie of the week? For those of you who, like me, are big fans of the Emma Stone/Viola Davis hit The Help (2011), I want to recommend a movie you may not have given much thought to. I thought it was going to be some kind of outrageous comedy or silly spoof. I was pleasantly surprised to find it’s a biopic—my favourite genre—with some pretty great performances to boot. 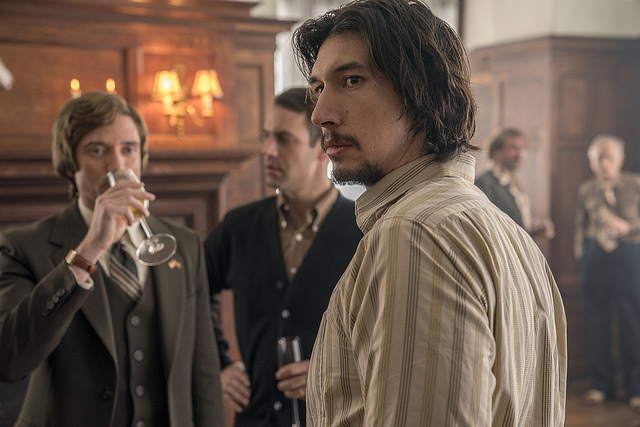 Like The Help, BlacKkKlansman (2018) is set in the recent past during a time when civil rights are stunted at best. It, however, is set in the 70’s when some strides have been made, though racism is still rampant and a powerful force to be reckoned with. Where one movie has a determined writer who is ahead of her time seeking to expose the real life behind black women working for affluent white families, the other focuses on a police officer trying to infiltrate the KKK. And he is black! I said it’s not a comedy, though there are plenty of funny moments. There are also moments that can be heavy on the heart, though they never resort to any shockingly violent content or disturbing scenes. In fact, I’d say it’s a little lighter than The Help, though it has the same kind of punch. It’s directed by Spike Lee, whose movies I have come to appreciate more and more with each movie I take in. It also features Denzel Washington’s son (John David Washington) in the lead, supported by Adam Driver, Laura Harrier, Topher Grace, and a small role by Alec Baldwin. It’s a very different movie than The Help, but similar in many ways, especially in its contribution to the civil rights conversation. And I have to say, in life it’s important to be angry about the right things. Both of these movies help the viewer see what is really worth being hot about. 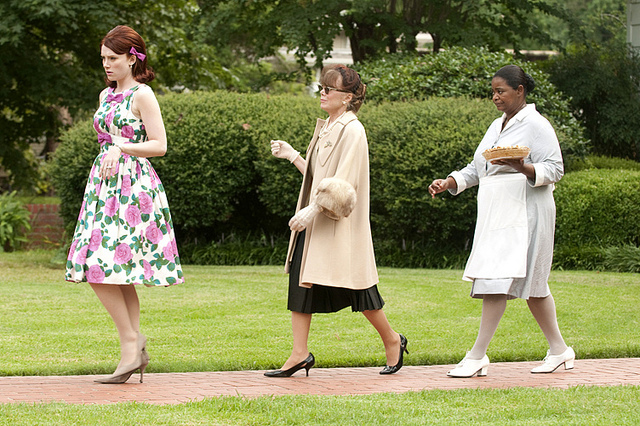 Congratulations The Help. This is your week. 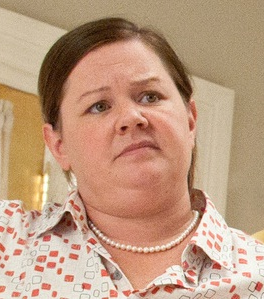 Best Actress: Melissa McCarthy as Megan in Bridesmaids. Best Actor: Michael Fassbender as Magneto in X-Men: First Class. Best Quote: “It’s not like any mission is gonna be rougher than the last one, is it?” — Simon Pegg as Benji Dunn in Mission: Impossible — Ghost Protocol. Whip It (2009) — You’ve got to give this early Ellen Paige movie a chance. It’s surprisingly great. BlacKkKlansman (2018) — I don’t put these two movies at #2 and #3 because they’re the topic at hand. These really are great movies! 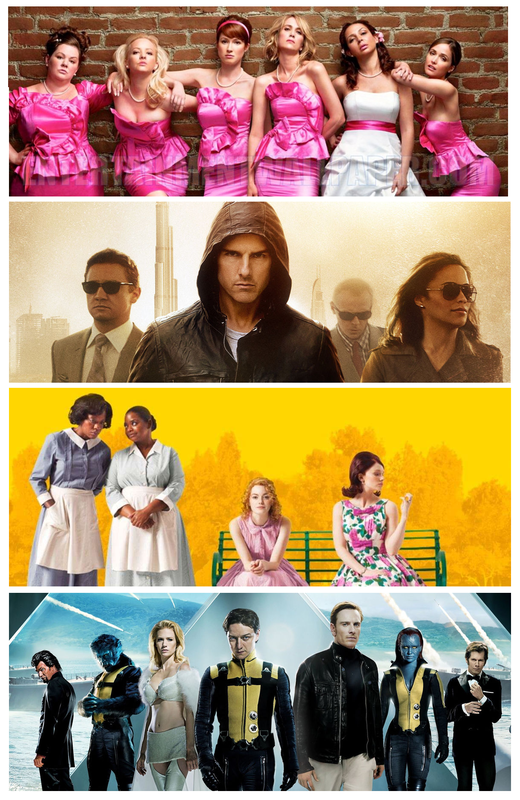 2011 was a fun year for movies. The Artist won best picture at the Oscars (not on too many favourites list, but still a decent movie), Thor was brand new on the comic book movie scene, and the beginning of the end of the Harry Potter series came out just in time for Christmas. One of my favourites of that year was Hugo, though I’m a fan of all of our nominees this week. Which one would you choose to be our movie of the week? 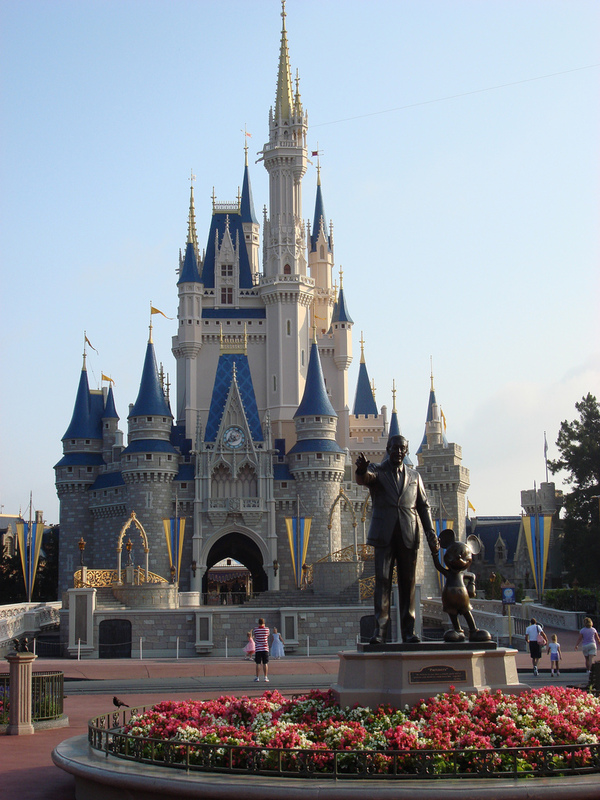 Back in 2010 I had the opportunity to meet the real Cinderella at her castle in Orlando. Our family was about to eat a meal there and as we waited to be seated we were given time to meet her, take pictures with her, and ask her questions. I was trying to remember the name of the dog in the movie, so I asked her that. Of course, she knew right away and told me it was Bruno. I couldn’t believe his name escaped me and I just had to ask. After all, Bruno gave me one of the most memorable and cherished movie experiences of my childhood. I guess I should be giving credit to Walt Disney and his masterful storytelling. You couldn’t have had a better set up for a climax like you find in Cinderella. A humble, kind-hearted, hardworking young woman has hopes and dreams unfairly suppressed by her evil step-family. The movie itself is only 74 minutes long, but the evil treatment she receives seems to go on forever to the viewer. When she finally gets something she so deserves, a gift that is like a dream come true (Shout out to the sequel! ), frustratingly, it all goes away and we’re back to the way things were. We want more for poor Cinderella. The Grand Duke and his posse are there to get all the single women of the house to try on a shoe (Why is it called a slipper in this story anyway? ), which we know fits our heroine’s foot perfectly. But she’s locked up! Locked up by the nasty step-mother! The mice are bringing her a key, but they have to climb a long flight of stairs to get it to her. When they finally do, Lucifer the evil cat stops them! At this point the despair seems insurmountable. How could mice and birds possibly move that big fat cat. The Duke and his boys—who are very different from the Duke Boys—are getting up to leave. Inside my childhood heart is crying out “NO!! 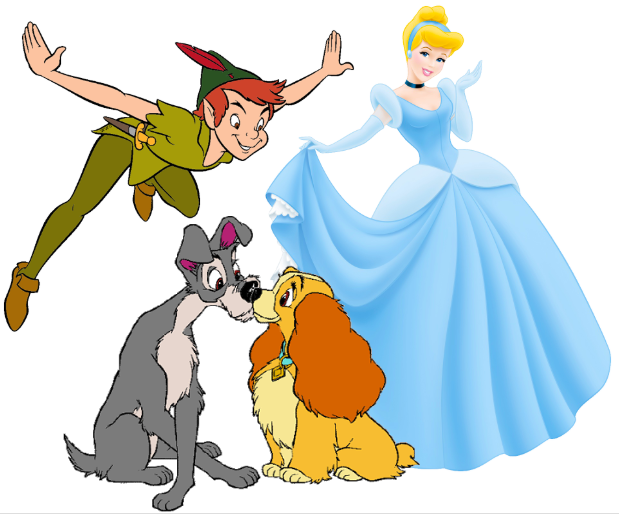 !” But then Cinderella gets an idea and gives it to the other animals. He was just a lazy dog. His life was like that of most farm dogs we’ve all known. Always doing one of two things: laying around or eating. It’s kind of like the life of a teenager. The mice and birds had to wake him up and somehow communicate the urgency of the situation to him. But when he does wake up and “get it,” Lucifer has it coming to him. I knew what would happen once Cinderella sat down and tried on the glass slipper. That wasn’t the most satisfying moment for me in the movie. It wasn’t even the look on that nasty step-mother’s face when she realized what was happening. No, it was Bruno’s saving the day. When someone who doesn’t realize the potential they have and are suddenly woken up to a need and come running like a hero, there is no greater feeling than watching them go. Thanks for reminding me of his name Cinderella. Three cheers for Bruno! 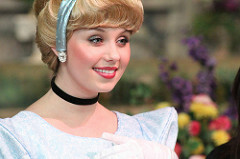 Congratulations Cinderella. This is your week. 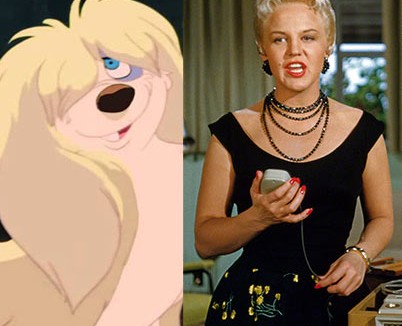 Best Actress: Peggy Lee as Darling, Si, Am, and Peg in Lady and the Tramp. Best Actor: Hans Conried as Captain Hook (and Mr. Darling) in Peter Pan. Best Quote: “Lucify. That’s him. Meany, sneaky. Jump at you. Bite at you!” — James MacDonald as Jaq in Cinderella. The one I thought would win was Lady and the Tramp because of a memory that is shared between three of you and me. I was pleasantly surprised to see how even the votes were. It would definitely have been my pick, though this week renewed my appreciation for the storytelling of Cinderella. I have a feeling I know what will win, but I think all three of these movies are major Disney animated heavyweights, even when compared to ones of any other decade. 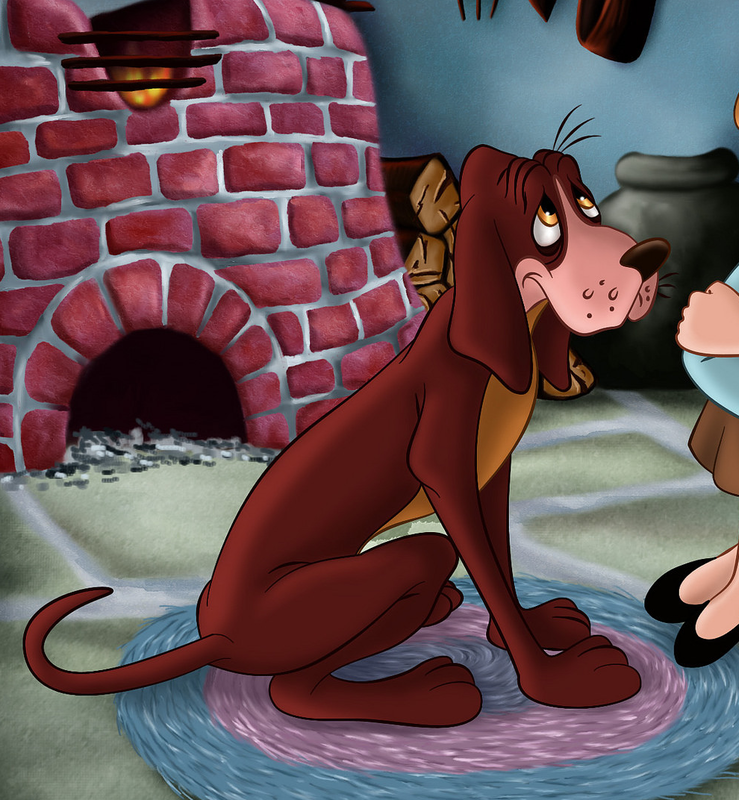 Which of Walt’s cartoon feature films from the 50’s is your pick? There are so many misconceptions and stigmas with regards to mental health, which makes it doubly difficult to deal with one when you or a loved one fall victim to mental illness. For me, when I was young mental illness simply meant people who were mentally challenged or so “crazy” they had to be admitted. But I’ve learned a lot since then. If your back can get a ruptured disk; if your intestines can be inflicted with Crohn’s Disease; if your muscles can be attacked by multiple sclerosis, if your bones can break, if your skin can bruise; then surely there are a number of things that can happen to the organ that sits at the very top of your body. DEPRESSION — Maybe you should try looking on the bright side. Things aren’t that bad, you know. ANXIETY — Try to calm down. Why do you get so worked up? EATING DISORDER — Maybe you should eat something! ADDICTION — You have to stop making excuses and just stop doing that! POST-TRAUMATIC STRESS DISORDER (PTSD) — Maybe you should try to move on. That was a long time ago. DIABETES — Maybe you should try not eating as much sugar. EMPHYSEMA — Maybe you should try getting some fresh air. SCOLIOSIS — Maybe you should try stretching. LARYNGITIS — Maybe you should try speaking a little louder. MUSCULAR DYSTROPHY — Maybe you should try working out. You now, get those muscles to grow. SKIN CANCER — Human skin regenerates itself constantly. So, you know… maybe that’ll clear things up! SHINGLES — Maybe there’s some cream you can put on that. I’m sure it’ll be fine. PARALYSIS — Have you ever tried to just stand up? Or like, move your pinky or something? BLINDNESS — How many fingers am I holding up? STOMACH ULCER — Maybe you need some milk. Want some milk? TAPEWORM — Can’’t you just poop it out? DECAPITATION — Hold on, I think I have some duct tape! I find it hopeful that mental health has gotten more and more of a spotlight over the past century, especially this last decade. If you’ve never had any kind of mental illness, consider yourself blessed. Treat those who do with the kind of care and compassion you would give someone with a physical disorder. If you have, please don’t give up. Keep fighting. I mean, that’s what we want cancer patients to do. 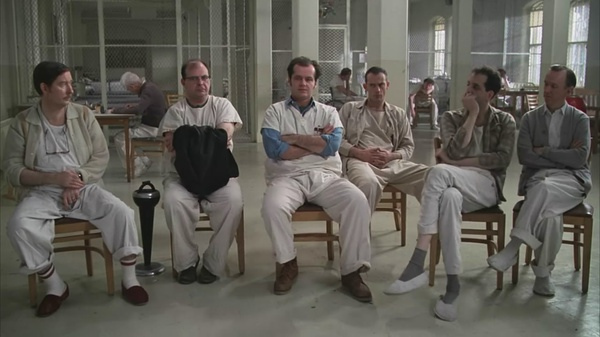 Congratulations One Flew Over the Cuckoo’s Nest. This is your week. Best Actress: Jennifer Lawrence as Tiffany in the Silver Linings Playbook. 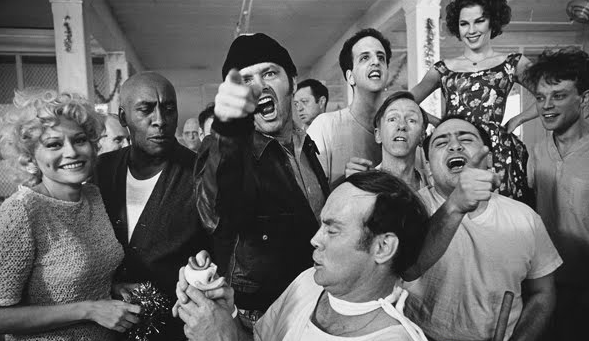 Best Actor: Scatman Crothers as Turkle in One Flew Over the Cuckoo’s Nest, and yes it’s just because he’s got the coolest name ever. Even his character’s name is pretty cool. Best Quote: “When I was young, I invented an invisible friend called Mr Ravioli. My psychiatrist says I don’t need him anymore, so he just sits in the corner and reads.” — Philip Seymour Hoffman as Max in Mary and Max. OFOTCN is one of those movies that is worth reading the trivia on its IMDb page. For instance, this is the film debut of Christopher Lloyd. It is also the favourite film of both Ron Howard and Barack Obama. And finally, in Sweden this movie was shown in theatres from 1975 to 1987. That was, and still is, a record. 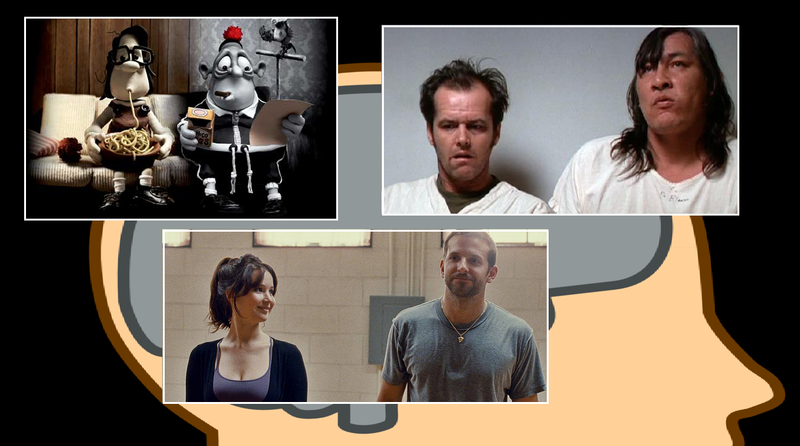 We may revisit this in May, since that is the official mental health awareness month, but this is as good as any time to take a look at three great movies that tackle, in some way, mental health. Which one would you choose?